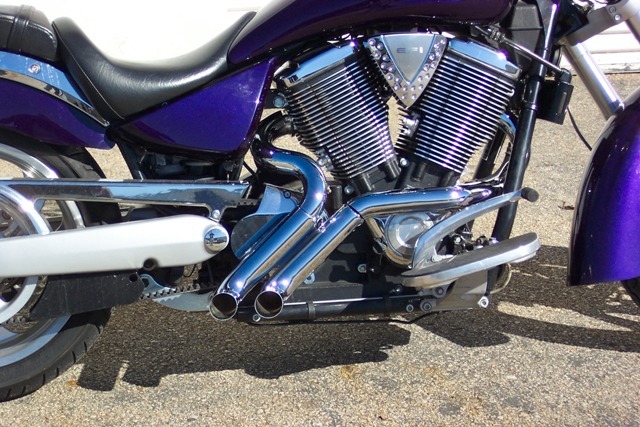 ***There is a video of our Zoomies on You tube, look under Hacker Custom Exhaust***, or see our Facebook page. YES, OUR ZOOMIES FIT THE NEW 2016 GUNNER plus they fit all 08 thru 2017 Vegas, Kingpin, 8-Ball, High Ball, the Judge and Boardwalk. Quiet option Zoomies are now available, these meet sound requirements for most states, and Countries, including Canada and Australia. This quiet option is a built-in feature and is non-removable. Please state the year when ordering. Use our pull down menu for options.